Be Brave, Keep Going: Muffin Tin Meals - So much fruit, it's scary! 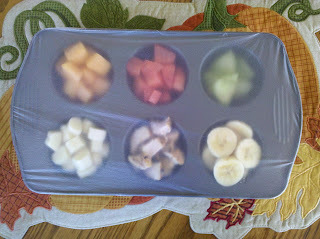 Muffin Tin Meals - So much fruit, it's scary! 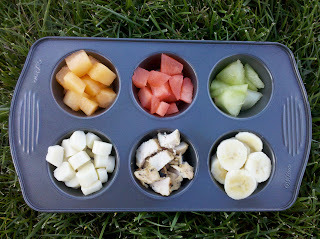 Cantaloupe, Watermelon, Honey Dew, Bananas, Diced Grilled Chicken, and Mozzarella Cheese Circles. 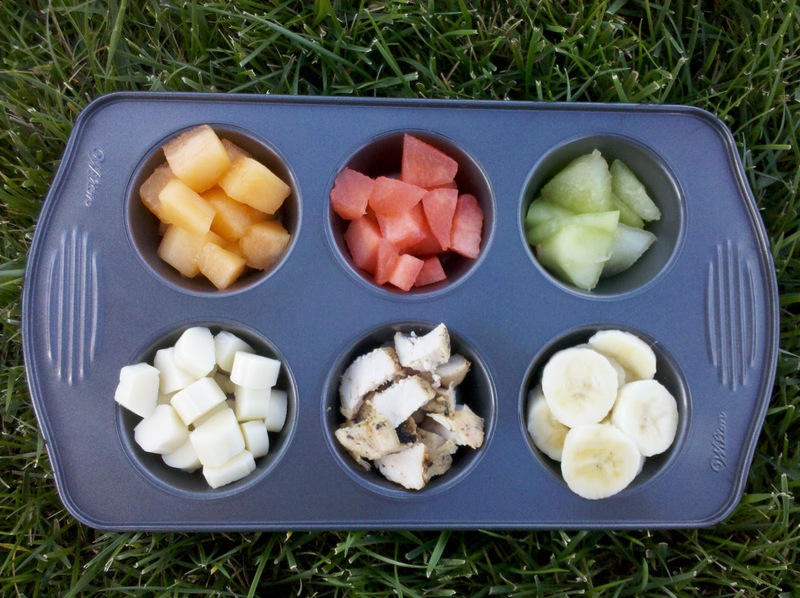 Dice your food up really small and it's perfect for that picky toddler and 2 year old! Or make up the Muffin Tin Meal and cover with Glad Press n' Seal and save it in the fridge for after Preschool or Grade School! Another nice thing about Muffin Tin Meals is that muffin tins are BPA-free and don't cost a lot like the "safe" eating sets in stores. Thanks for continuing to bring us great ideas each week!